Why is Real Housewives so popular? It's about more than the fights. "The bittersweet reason I can't stop watching Real Housewives." There’s a reason why the Real Housewives series are so popular and it’s not just because they are like episodes of Jerry Springer, in heels. And I speak from experience, having watched the very first Real Housewives episode many years ago, in 2006. It was Real Housewives of Orange County, and it was promoted as a reality version of the insanely popular drama Desperate Housewives. I was sold, having recently given up my career to raise my first child who had severe food allergies. I was bored, open to suggestion, vulnerable and missing my girlfriends. The basic gist of the Real Housewives series was to allow us a look into the lives of several affluent housewives, firstly in Orange County in California in the US, followed by New York, then Atlanta, New Jersey, Washington DC, Beverly Hills, Miami, Potomac, Dallas, and then it went global. Athens launched in 2011, then France, Melbourne (yay! ), Cheshire in the UK, Auckland, Sydney (from February 26, double yay! ), Toronto and in production but yet to receive an on air date, Bankok. Okay, I think that’s all of them. 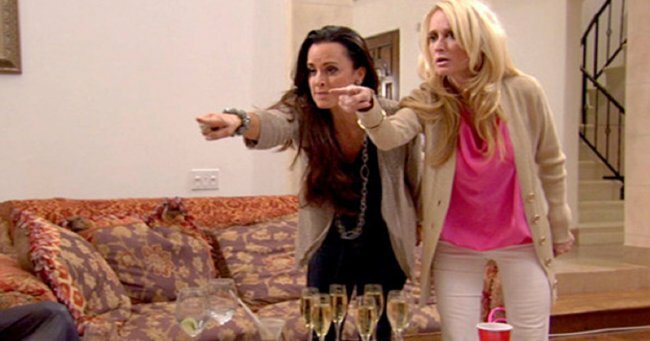 I watch the Real Housewives series in a similar way to a lover of fine wines, dipping in and out of different franchises depending on my mood, the cast and the recent happenings. My favourite franchise is and always will be New York, followed by Beverly Hills, then New Jersey and the OC. I love Melbourne and am deliriously excited for Sydney. 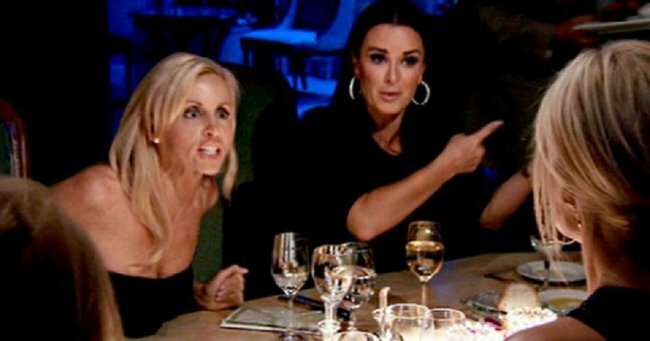 And while the Real Housewives series have become known for - and mostly by those who don&apos;t watch them properly - crazy fighting, unfortunately, that&apos;s not why I love them. I love them because it&apos;s so interesting to look into other people&apos;s lives. And I also love them because I&apos;ve never had a proper group of girlfriends. Even though these groups of women are mostly manufactured and thrust together for the sake of the shows, I am still fascinated by how they interact, why some get along better than others. And sometimes I&apos;ll watch besties fall out over the silliest things and be left feeling devastated, only to watch them make up and love each other again. For me the shows are about friendship and forgiveness. Since Real Housewives debuted over ten years ago I&apos;ve become a stepmother, had babies, money problems, gained weight, lost it, gained friends, lost them, gained some of them back, gained careers, lost them and found new ones. In a way, we&apos;re all living our very own reality TV show. On Real Housewives of the OC I watched one of my favourite couples, Vicki and Don, divorce, Vicki losing a husband and her children losing a stepfather. On Real Housewives of New York I was given the opportunity to get to know one of my favourite authors Carole Radziwill, and guess what? Sometimes she doesn&apos;t feel like writing either. On Real Housewives of New Jersey my heart broke when Jacqueline&apos;s son Nicholas was diagnosed with autism. At the time I suspected my son Giovanni had autism too. It turns out he did. 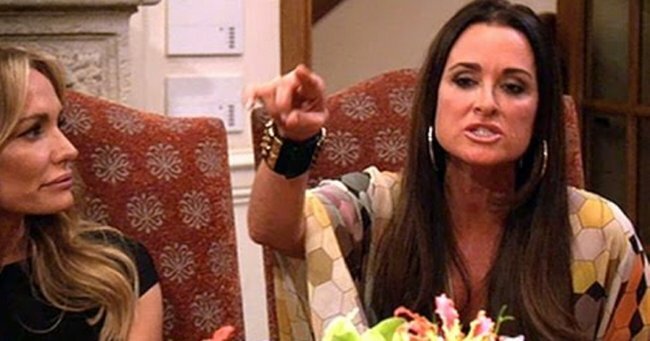 On Real Housewives of Beverly Hills I watched as sisters Kyle and Kim Richards veered wildly between extreme closeless and bitter hatred, as I have done in the past with one of my sisters. 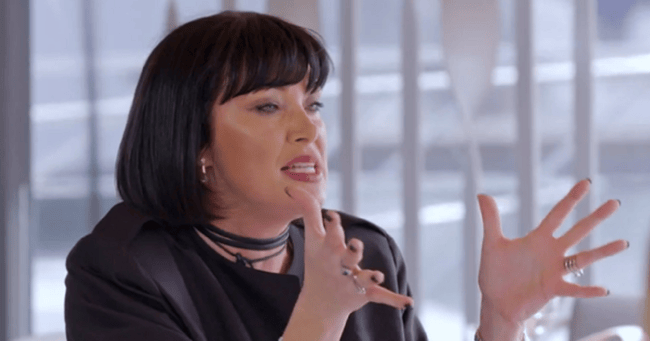 On Real Housewives of Melbourne I cheered Jackie on as she tried to come out from under her mega-famous husband&apos;s shadow and let the world discover how incredible she is. And now I can&apos;t wait for Real Housewives of Sydney which will take place in my home town, featuring women who live where I used to live (Bellevue Hill) and some from my home away from home owing to my family members who live there (the Northern Beaches). You&apos;ll end up loving some of these women and reflecting back on your own life, with those crazy fights serving as a reminder that regardless of how lonely you are, maybe sometimes it&apos;s better not to have too many girlfriends. To subscribe to No Filter in iTunes go to apple.co/mamamia where you&apos;ll find all of our shows in one place and any books written by the many Mamamia guests. 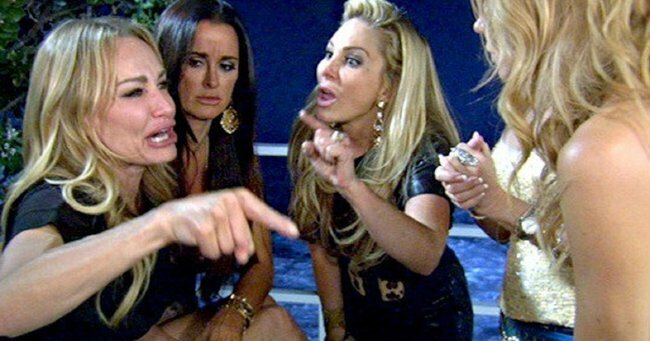 Click through our gallery of worst fights ever from each of the Real Housewives series.